Summer means scorching heat, sultry days, sweat and dull hard days out but not in Oman where a weekend getaway in Millennium Resort Mussanah promises cool, exciting and a relaxing summer holiday. One of Oman’s leading destinations for relaxation and recreation, the award-winning Millennium Resort Mussanah is offering Oman locals and residents an enticing summer package starting at 40 OMR, offering guests with a one-night stay in a deluxe room and complimentary breakfast for two or 50 OMR with breakfast and dinner. Children below 6 years of age and sharing bed with their parents will stay for free and will have the same meal plan while children below 12 years old will be offered 50% for extra bed, breakfast and dinner. Guests who are availing of the summer package will get complimentary access to Aqua Fun, Zip-line, Tennis and mini-golf. A day pass worth 10 OMR will give full access to a range of indoor and outdoor activities at the resort while 18 OMR will include lunch. With this unique and affordable pass, visitors will be able to unwind in a 50-meter swimming pool, two infinity pools, children’s splash pool and family shaded pool. 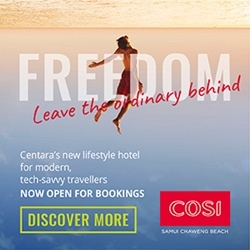 The offer includes high-speed Wi-Fi connection and access to the hotel’s extensive leisure and recreation facilities. The promotion is valid until September 30, 2018. A variety of water sports and activities are available to make your holiday an adventure. Young and adult guests can try the thrilling Floating Aqua Adventure Water Park “Aqua Fun” or go parasailing, water skiing, kite surfing and many more. Rent a boat for an excursion trip or head to one of the diving spots in Oman and explore the fascinating aquatic wildlife and discover a diverse species of fish and corals on a snorkelling tour. The resort’s spacious and well-appointed rooms are fully equipped with modern amenities so there is always an excuse to be lazy and not leave the room while on holiday. The apartments are also designed with a kitchenette so you can still prepare a meal or two for your loved ones just like when you are at home. While at the resort, recharge and rejuvenate at Zayna Spa where a myriad of unique and soothing treatments are available to optimize your body’s energy. Make your summer one to remember, beat the heat and stay at Millennium Resort Mussanah Oman. For bookings and reservations including terms and conditions, please visit www.millenniumhotels.com or call +968 2 687 1519/20 or email reservations.mrmo@millenniumhotels.com .